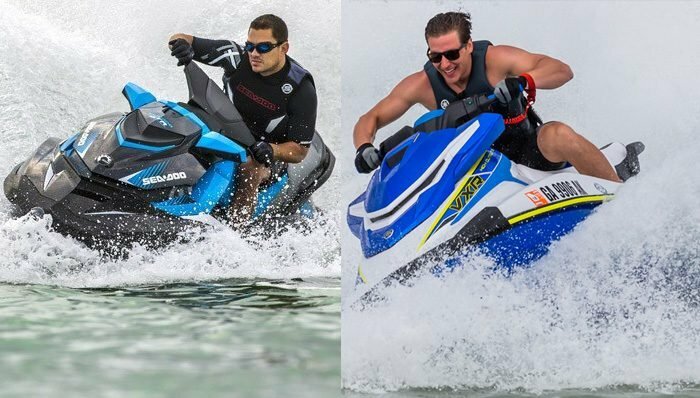 Trying to find the best wetsuits for personal watercraft use is something many PWC owners have done. In this article we’ve tried to do some of that work for you. 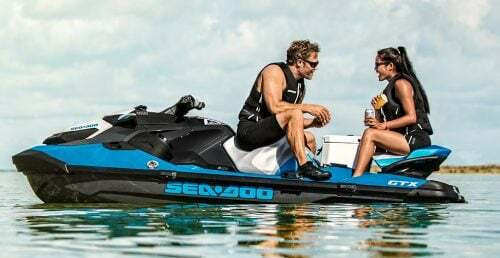 Have you ever sat on the shore, waiting as patiently as you can for the water temperature to finally creep up to something tolerable so you can get out on your personal watercraft and enjoy it? 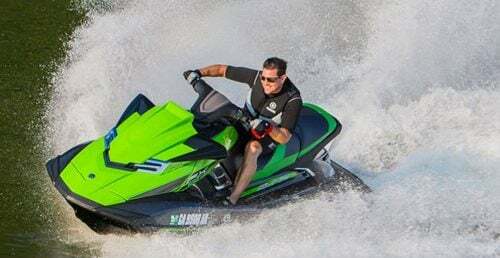 Similar to how snowmobilers have to wait for the snow to fall, PWC riders usually have to wait for the water to warm up enough so they don’t turn blue while going for a short ride. The best wetsuits, however, can extend that season and add an additional level of safety and protection while you wear it. 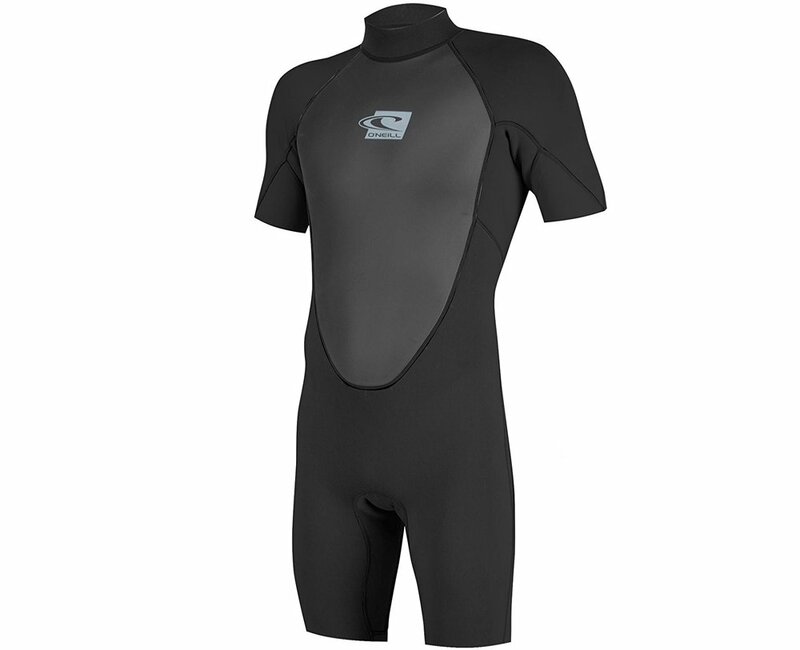 A wetsuit is usually made from snug-fitting neoprene, a synthetic rubber material. Some people think that a wetsuit is designed to keep you dry. That is incorrect, as the name implies. 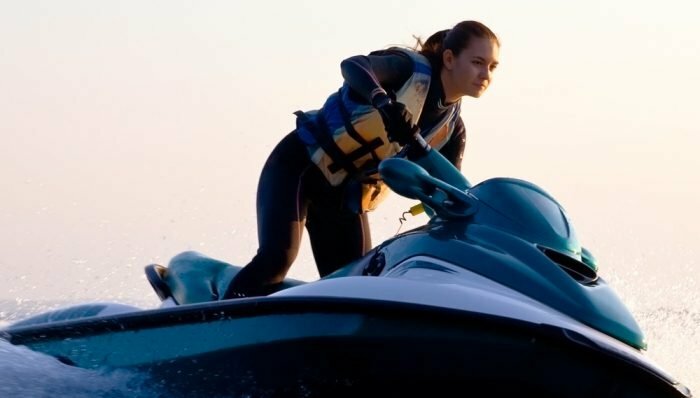 There are drysuits made for diving that are made of similar materials, but the bulk and constriction of a drysuit isn’t really going to work for PWC use. A wetsuit fits better when you’re wet and works by trapping a thin layer of water against your skin. The neoprene of the suit traps the water there in insulates it from the outside, while your body heat is retained by the water, therefore keeping you warmer. Finding the right wetsuit for you can be a little tricky. They are made to fit snug, but not be constrictive, so if you feel pinched, or have circulation issues, the suit doesn’t fit. Don’t expect to have many secrets when you wear one, either. They’re not exactly going to be slimming, so know going in that it’s a snug fit. There aren’t many PWC-specific wetsuits on the market, either. 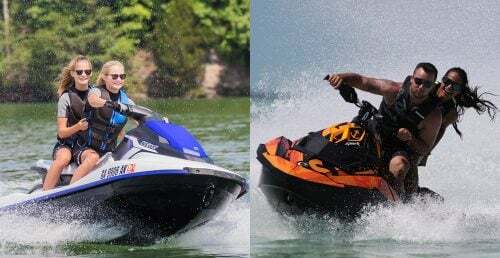 Though surfing and kayaking suits work well for PWC use. Diving suits aren’t very good, as the range of motion is completely different. If that’s what you’ve got, it’ll work in a pinch. Well, a lot of pinches, probably. 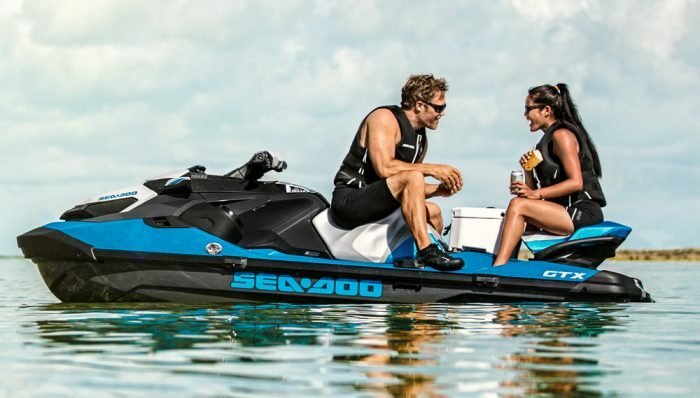 Here are five of the best wetsuits for personal watercraft riders. 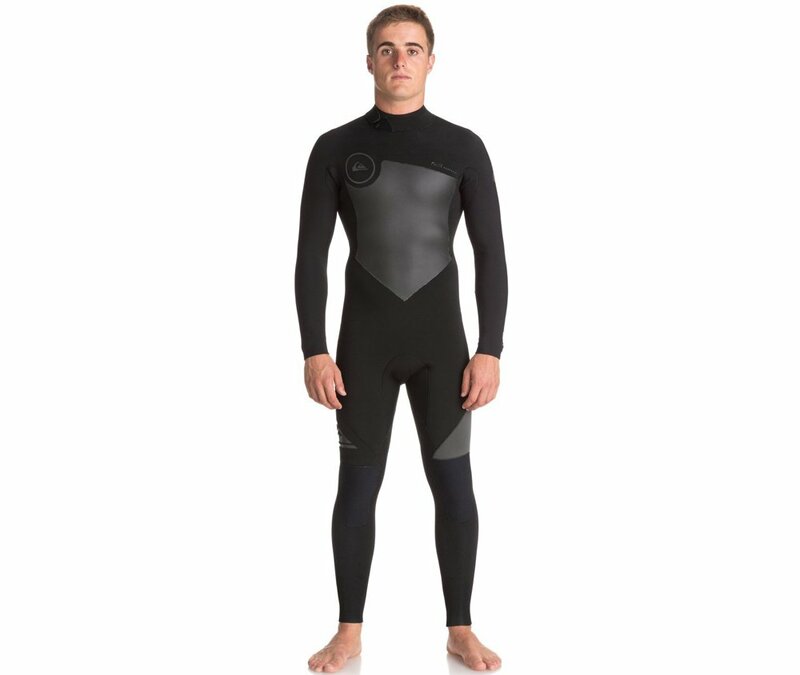 The O’Neill Reactor II is a good all-around wetsuit with short sleeves and legs. It is made of a combination of O’Neill’s Fluidflex neoprene and Smoothflex foam around the neck for comfort. They built in knee padding and have breathable seams. 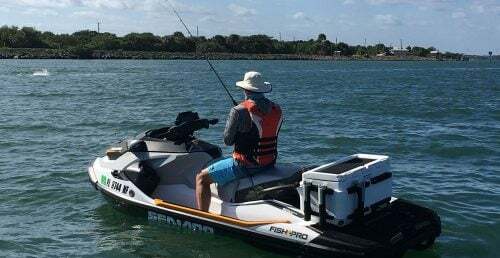 There is a single YKK zipper up the back and a hidden key pocket so you don’t get locked out of your truck when you’re done on the water. There are multiple color options and you can usually find these suits for less than $100. QuikSilver makes some really neat stuff and this affordable full wetsuit is no exception. The QuikSilver Syncro is constructed using 3mm and 4mm air-cell rich neoprene material that has extra limestone used in the processing phase for additional trapped air. This reduces the weight of the suit while making it warmer to wear. QuikSilver also incorporates its Warm Flight thermal infrared lining that converts your body heat into infrared energy for additional warmth. This is a great warm suit for less than $200. 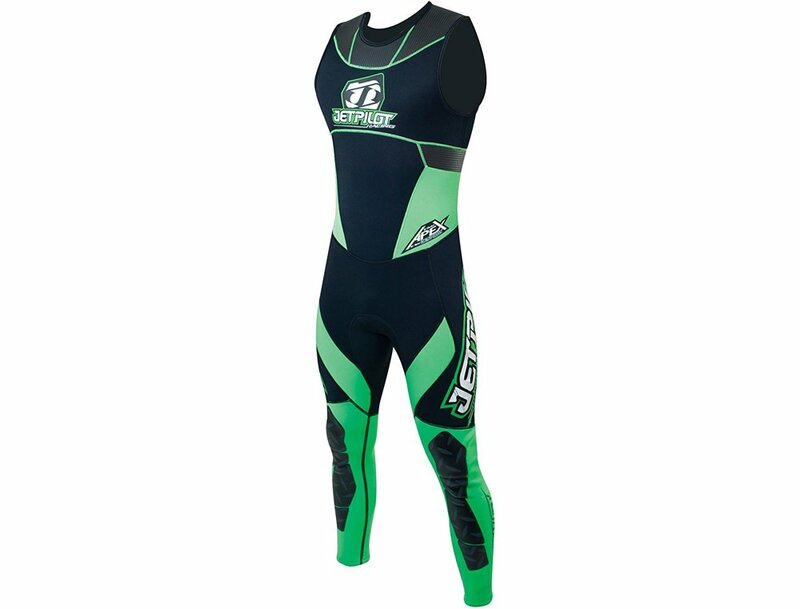 One of the only wetsuits designed from the ground up for PWC use, Jettribe wetsuits are for serious PWC riders and competitors. 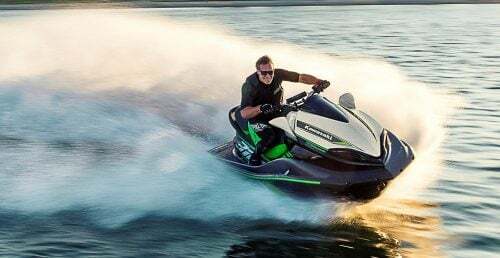 They are made to work comfortably and provide complete freedom of movement for every motion you would make while tearing up the water on your PWC. They use 3mm neoprene in areas to help keep you warmer, and 2mm neoprene in the high movement areas to retain heat while allowing complete freedom of movement. Not the cheapest suits out there at just under $350, but if you’re really into PWC use, these are designed for you. 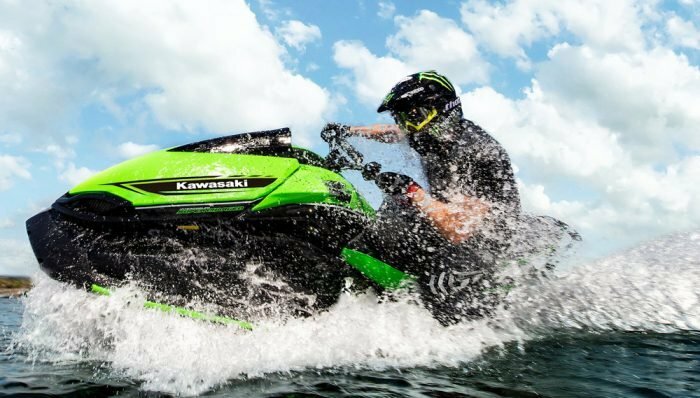 Another wetsuit designed specifically for PWC riders that is easier on the budget is the Breaker from Slippery Wetsuits. This is a two-piece wetsuit with a removable jacket, giving you a ton of options for riding. The suit is constructed out of 2mm neoprene and has a front zipper on the jacket and a hook-and-loop closure on the bib underneath. The best part is the price at less than $130, which nets you one of the best wetsuits without breaking the bank. 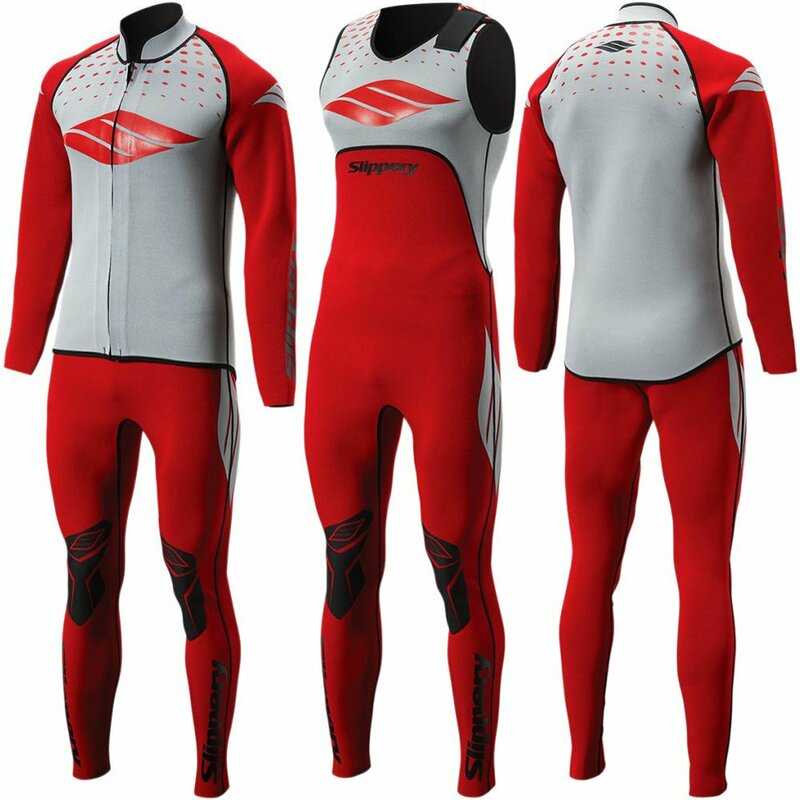 The Apex from JetPilot is constructed of 2mm Grooveskin neoprene material that is designed to move and flow with you as you ride. The suit is made with smooth seams for added comfort and is a side-entry suit using three hidden web buckles for closure. 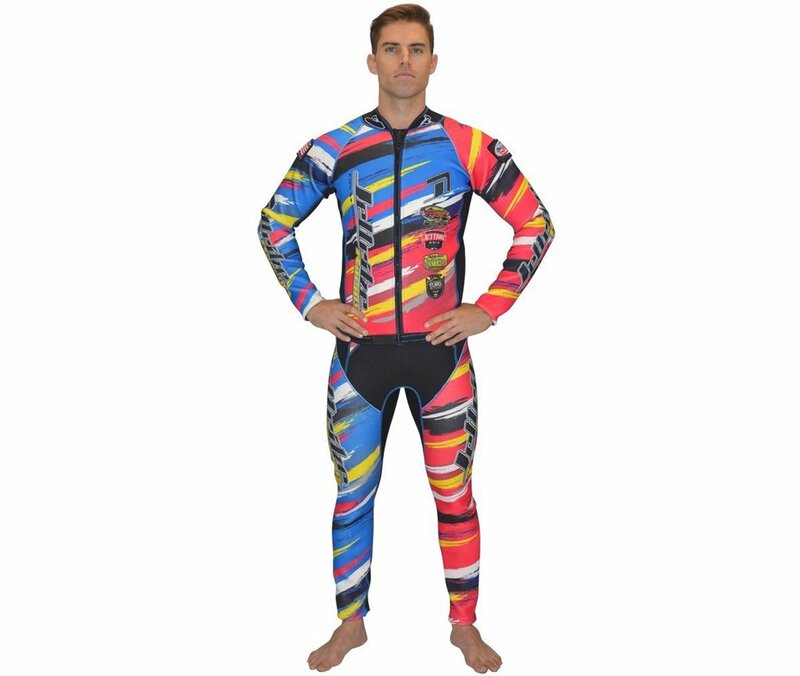 The suit is UV-resistant and is rated to handle 100mph force, so you can scream across the water knowing that your suit can take it. Best yet? The price is less than $150.